Do you have what it takes to raise dairy goats in your backyard? 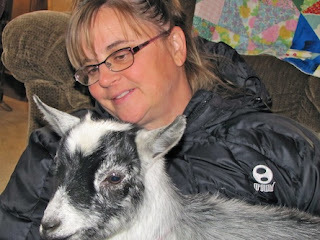 I bet that you do and I would like to get you started on raising your own healthy goats and producing all of the goat milk and cheese right in the city. Check to see if goats are OK. 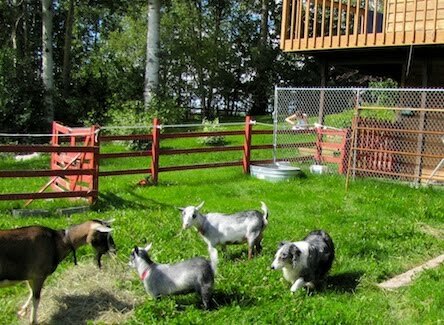 Many major metropolitan areas have recently passed new city laws to allow for the raising of goats. Just call your city office and ask. Enough space in your backyard? You will need a fenced area that is about 20 by 20 feet. This area will need to include a dry place for your goat(s) to eat and sleep. An area in the pen that is protected from rain and snow for feed will be also necessary. I'd like to add to this for those that think that goats "stink"... if you don't keep a buck/billy (which I don't recommend if you're going to harvest the milk), there will be no smells. Goats make awesome pets. I could not agree with you more. I keep 3 bucks but they are a stinking pain for about 6 months of the year, the other time they are very nice. Unless they are doing their thing, they are always separated. Most of the new ordinances allowing goats will only let you keep 2, no bucks and often they specify only the dwarf or pygmy goats.